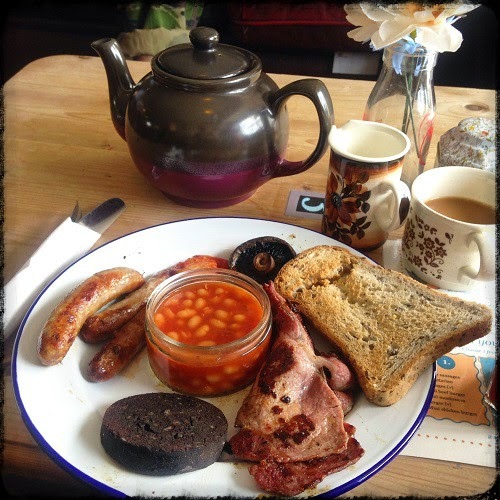 Gluten Free Bristol - Breakfasts! I've searched high and low to find you (and myself) the best gluten free breakfasts in Bristol. As always I've only listed independent establishments. It ain't a gluten free breakfast if you just take the sausages and toast off, there has to be a bit something special on offer to make it worth leaving the confines of your weekend duvet/papers/cats nest for! Hopefully you won't be disappointed by any of my suggestions. I have placed a hash (short for hash browns, naturally) next to the ones that I have personally tried and can recommend. Please give me a shout if I've missed anyone off and I'd love your feedback on any that you have tried yourself! Sausage, bacon, black pudding, tomato, mushroom, beans, egg, toast. Gluten free full English with sausages and toast. Bacon, fried egg, beans, slow-roasted tomato, toast (Genius bread). Vegetarian sausage, bacon, hash browns, mushrooms, tomato, beans, egg, toast. See blackboard for breakfast items – GF rolls available and all food is vegetarian. No full English, however French toast, mushrooms on toast, scrambled egg on toast, boiled egg and soldiers and bacon sarnies are available with gluten free bread. A selection of delicious breakfast items (eggs benedict, posh mushrooms etc) served on gluten free bagels. The chef is happy to make substitutes for any dietary requirements, but you must book ahead and state that you cannot eat gluten. The chef often bakes bread or muffins that are gluten free. Hash browns, scalloped potatoes, egg, bacon, grilled tomatoes, field mushrooms and gluten free sausages if you pre-book. No gluten free bread on site but they said that if you bring your own they are happy to toast it for you.